It's funny how we can find it so easy to love other people and yet find it so difficult learning how to love yourself. I think it's because we've been taught that loving ourselves is selfish or conceited in some way. After all, nobody likes a narcissistic person who never seems to care very much about anyone else. But there's a huge difference between loving yourself and being narcissistic! Loving yourself doesn't mean you think you're better than anyone else. It's simply a matter of recognising your own good qualities and acknowledging that you are a loveable person and that you are worthy of love. Because no matter what you've been taught to believe, you are worthy of love. And the most important person you need to receive that love from, more than anyone else, is YOU. Here's why loving yourself is the key to a good life and why the world needs you to love yourself more. It Makes You Happier - Loving yourself is all about acknowledging your positive qualities and being kind to yourself. And spending less time beating yourself up for all your mistakes and perceived flaws. Stop the negative self-talk, celebrate your successes and build on your strengths. What you focus on grows. It Makes You Healthier - Because a big part of loving someone is giving them what they need to thrive - mentally, emotionally, physically and spiritually. So love yourself by practicing self-care and giving yourself what you need to show up in the world as your best self. It Makes the World a Better Place - Because when you show up in the world as your best self, you encourage others to do the same - and it creates a positive ripple effect that impacts the lives of many others. Not only that - when we love ourselves, we become so much better at loving others. We're kinder to each other because we've learned to be kind to ourselves. And we can all agree that the world needs a lot more love and kindness in it. Here are some tips on how to learn to love yourself. Get More Sleep - most people are chronically sleep deprived. When you don't get enough sleep, you're more likely to get sick, become obese, suffer from depression, and put yourself at risk of a whole host of other health problems. One of the nicest things you could ever do for yourself is to get the rest you need. Eat Healthier - when you eat healthier in the amounts your body needs, you have more energy and feel better about yourself. And you're less likely to become sick. We all know that the best kai for our bodies does not come out of boxes and packages. Find a protocol that works for you that includes plenty of fresh kai like vegetables, fruit, protein and healthy fats. Move More - it doesn't have to be hard out strenuous exercising - unless that's your thing. It can be as simple as doing yoga, tai chi, going for a daily walk or swimming. Physical activity releases endorphins, boosts your energy and mood, increases your emotional resilience and improves your self-esteem. The key is to build it into your calendar at a specific time each day. Celebrate Your Success - take time to celebrate your successes and remind yourself what you're capable of achieving. Not only will it boost your confidence and self-esteem, but it will also motivate you to achieve more success in life. One way to do this is to keep a journal where you write down your successes at the end of each day. Be Gentle With Yourself - No one is perfect. You're going to make mistakes. Use your mistakes as an opportunity to learn something that will help you get better results in the future. Also, take time for yourself. Make sure to give yourself time every week to do something you love. Take a hot bath, read a book, watch a movie, spend time on your favourite hobby, or do something fun with a friend. Whatever fills your soul with joy. Because you deserve it. And in doing so, you encourage others to do so as well. Believe in Yourself - you are capable of achieving anything you can image. All you have to do is take one small action after another and you can create any results you want in life - because you are awesome! On a scale of 1 to 10, with 10 being high, how much do you love yourself, and what are some of the ways you practice self-care? P.S. Join Kia Tū Teitei Monthly HERE! 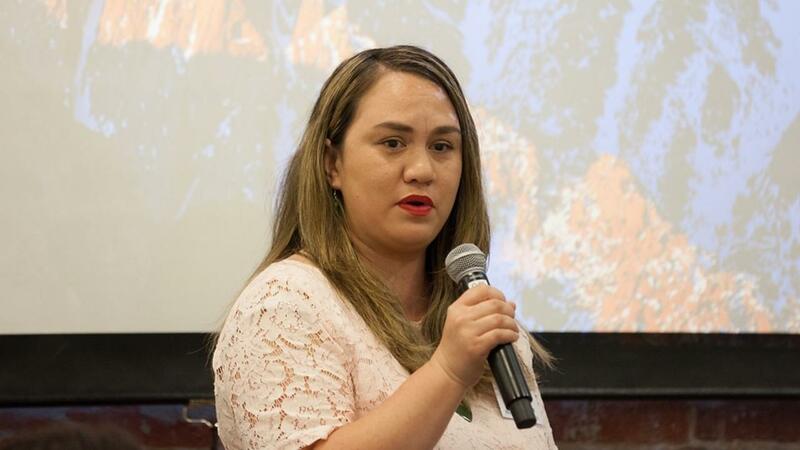 During March, April and May we show you how to claim your personal power, discover your signature leadership presence, power up your personal brand, increase your visibility and more in our Wahine Toa programme. P.P.S. The next iWahine Leadership Hui is 17-18th October 2019 in Wellington. Sign up to receive weekly updates, tips and advice on personal and leadership development.